Hotzone Solutions Group confirmed its participation at the International Defense Exhibition & Conference IDEX 2017 that will be held from the 19th till the 23rd February 2017 in United Arab Emirates at Abu Dhabi National Exhibition Centre. Hotzone Solutions is an international training and consulting company founded by a group of former military and civilian NBC defence officers, Inspection Team Leaders and weapons. Hotzone Solutions willing to offer a full-spectrum service, covering the use of biological simulants and chemical warfare agents, toxic industrial chemicals, explosives and radioactive material (open and closed). IDEX is known as the Biggest international defense exhibition and conference in the Middle East region and allows participants to strengthen relationships with government departments, and armed forces. The exhibition brings situational awareness – trends and developments – of technological advances to meet the threats of tomorrow, while understanding trends that impact research, expansion and enhancement of future warfare for the defense community. IDEX was billed as an opportunity for key decision-makers from around the world to meet defense equipment manufacturers and systems solutions experts to build cooperative efforts in armament acquisition and integration. The event will bring government departments, businesses, international defense manufacturers, contractors and suppliers together to display the latest and future unmanned systems and technology. In essence, IDEX provides the opportunity for exhibitors to raise their company profile during the event and for visitors the benefit of gaining in-depth information. 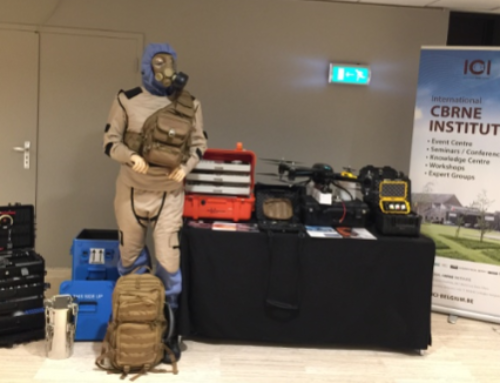 Hotzone Solutions Group new firm is set to show off its new CBRNe products that comes to close gaps been faced by personnel in the field. With our extensive experience in the field of CBRNe we are developing and selling products that are generally not available from the major CBRN manufacturers that have been designed by and used by our staff to enable you to get products which directly suit your need and requirements. All of our own products are developed, tested and used by our staff during our training courses and most of it will be presented at IDEX 2017 to get more details about it. 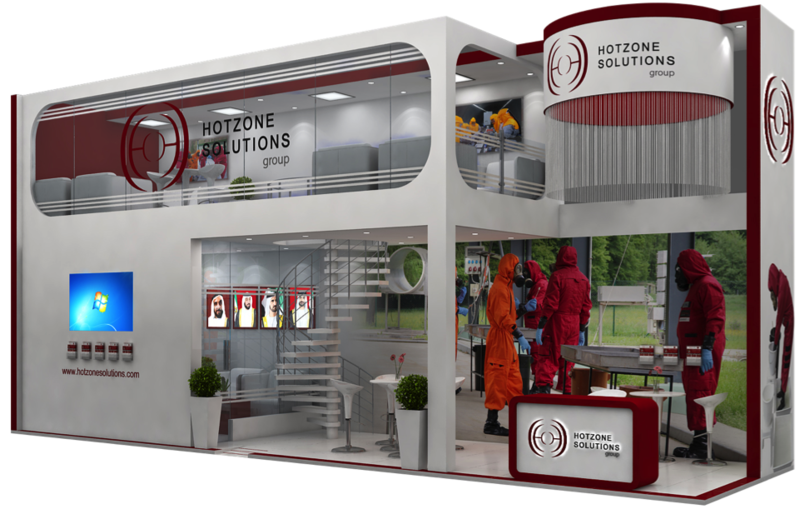 All Hotzone Solutions guests are welcome to see and discuss our new products at our booth and to do so they need to register as visitors to attend IDEX. The quickest way for them to do this is to complete the IDEX visitor registration process online by clicking here. Once approved our visitors will be able to access IDEX and visit our booth freely from 10 am-5pm from Monday 20th till Thursday 23rd February 2017 as the access to IDEX on Sunday 17th February 2013, is restricted to VIP and delegations only (no visitor access). Keep up to date with the activities of Hotzone Solutions Group by subscribing to our newsletter and get the news straight to your inbox.